REGINA E. RUANE, 92, of Parkville, Md., formerly of Westtown, Pa., and Havertown, Pa., died January 28, 2019 in the Oak Crest retirement community in Parkville. She was a retired administrator in the alumni office of Villanova University. 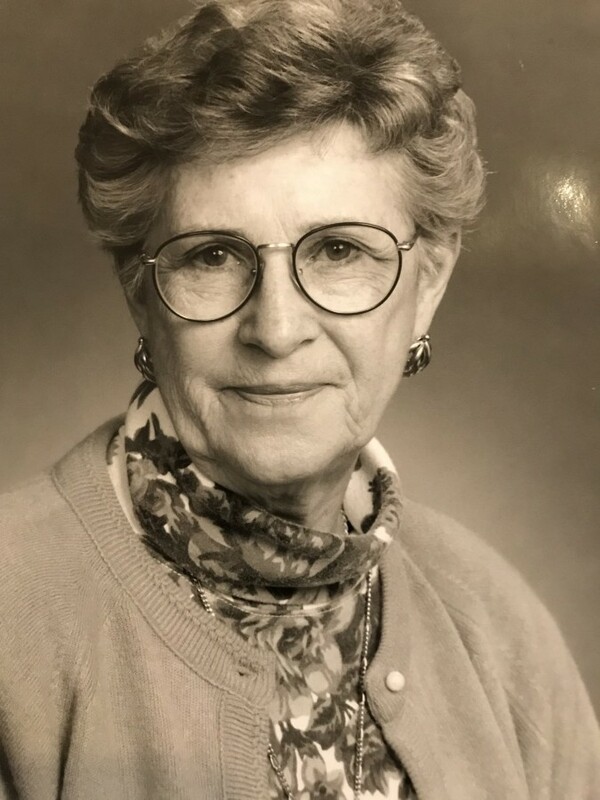 Born in Philadelphia, she was a graduate of Holy Child Academy, Sharon Hill, Pa. She lived for many years in Westtown and was a long-time member of Saints Simon and Jude Catholic parish. She had a beautiful singing voice and was a member of the choir there. She was an avid gardener. She was elegant, charming and made friends easily where ever she went, despite the loss of most of her vision in later years. Throughout her life she was sustained by her unwavering Catholic faith. She was a loving mother, wife, grandmother, and great grandmother. Her husband, Eugene, died in 2006 and her daughter, Kathleen, died in 2018. She is survived by her son, Michael Ruane and wife Catherine Lee, of Washington DC, grandchildren Cecilia Ruane, of Baltimore, Emily Ruane and husband Christopher Grosso, of Brooklyn, New York, Julia Ruane and husband Matthew Millar, of Philadelphia, Sean Ruane, of Santa Fe, N.M., and great grandson, Lee Wallace Millar, of Philadelphia. A memorial Mass will be celebrated at 11 AM on February 16, 2019 in the chapel at Oak Crest, 8820 Walther blvd., Parkville.